My name is Simon, I am a Stowmarket window cleaner who also covers a wide area including the countryside around Stowmarket, plus many other areas. I strive to clean your windows to the best standard I can! I clean to a standard I know you will be delighted with. Contact me to discuss your requirements - no job too big or too small. Domestic or Commercial. 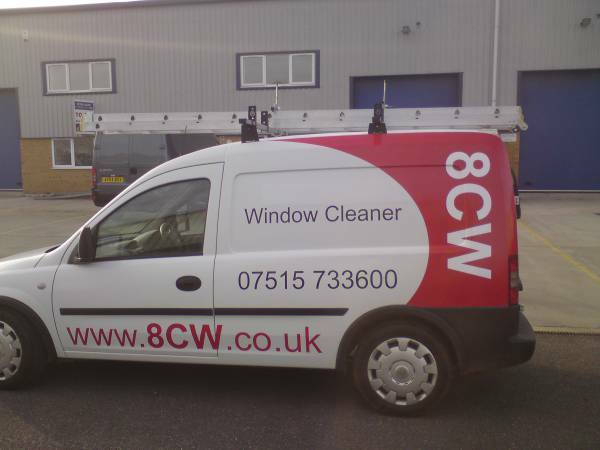 I provide a customer centric approach to Window Cleaning. For my standard charge I clean the glass, the frames, the sills, doors and even give dirty house numbers and external lights a clean. I am confident you will be pleased with the results and will want me to return. I am regular and reliable. With a background in IT Service Delivery, I aim to give you a top quality service at an affordable cost. If you are looking for a regular reliable window cleaner please contact me. I am not just a Stowmarket window cleaner, I provide solar panel cleaning, gutter clearing, gutter, soffit, fascia and conservatory cleaning. I do this based on an hourly rate, and as a small company with small company overheads, you will find this a very reasonable rate. I use the latest and arguably some of the industries best equipment to give great results! Not just a regular and reliable window cleaner! I care about cleaning your windows!